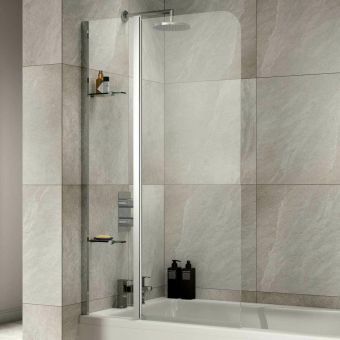 Articulated at several different joints along the top and base, this bath screen can be angled at any point to suit the individual needs of the user. 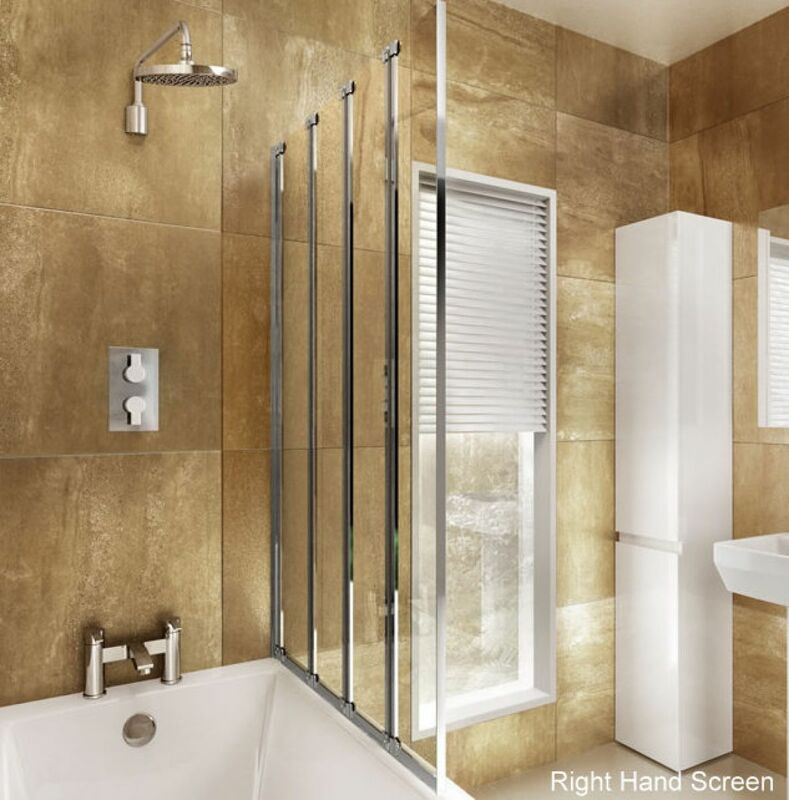 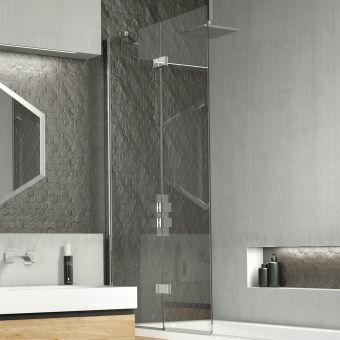 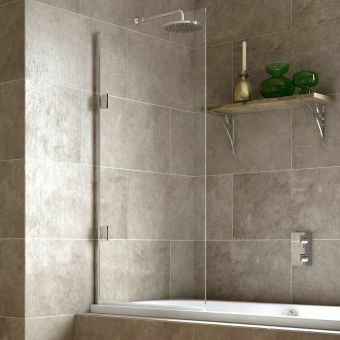 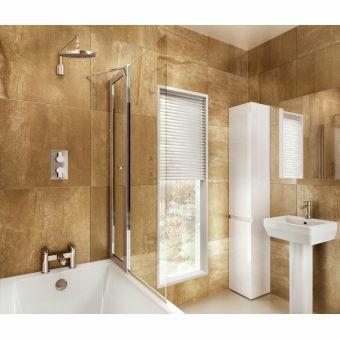 Created from 6mm toughened safety glass, this panel is finished with 3M treatment, specially formulated to repel dirt and prevent the build up of limescale for a continued clean and presentable look. 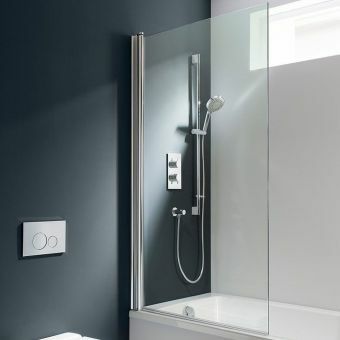 The mounting bar and hinged sections are finished in polished chrome to withstand water corrosion and present a clean and modern look suitable for the contemporary bathing space. 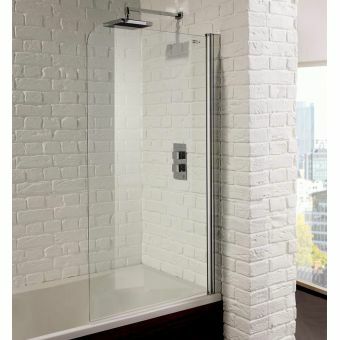 Can be fitted left or right hand as needed. 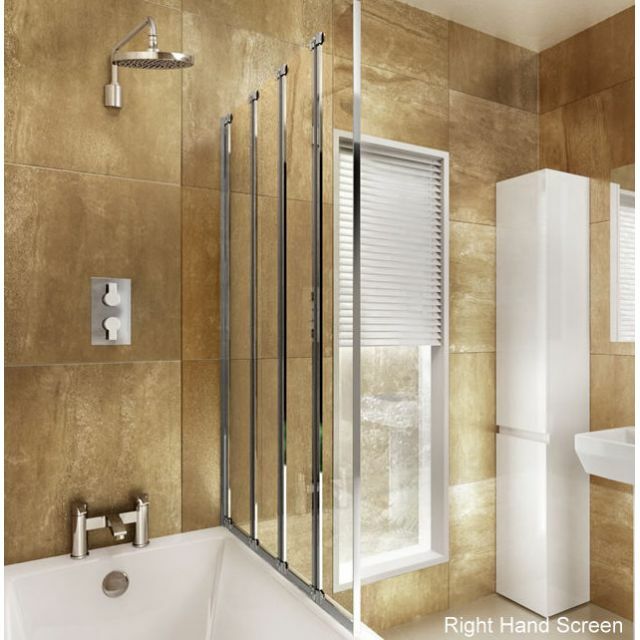 This screen measures 1450mm in height, and 890mm in width, and is compatible with a range of wall-fitted bath tubs. 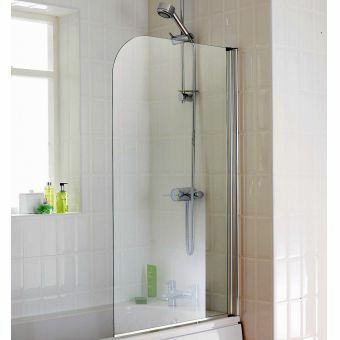 Please contact us for further advice about compatible pieces. 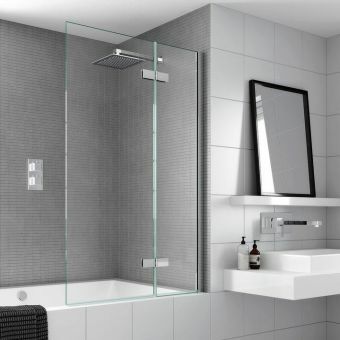 ClearGreen is being merged into the Britton Bathrooms brand, the design has recently been updated to the long frame version pictured above.